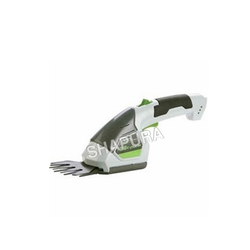 We are successfully ranked as the top manufacturer, distributor and supplier of a comprehensive range of Battery Gardening Tools. These are fabricated using top quality raw material and advanced technology in compliance with the international standards. The products offered by us are highly treasured for their maintenance free operation, robust construction and smooth finish. In addition to this, the offered range is precisely tested on various parameters of quality in order to deliver flawless range at the clients’ end. We rule the market in the manufacturing and supplying a wide range of Battery Operated Grass Cutter. This grass cutter is fitted with high-speed electric motors whose shaft is attached to the grass cutting blades. 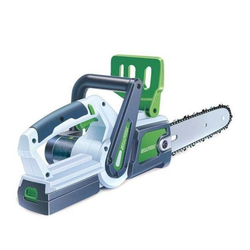 Backed by our well-equipped machinery, we are offering a wide range of Battery Chain Saw Machine that are manufactured using premium quality raw material and advanced technology. These machines are designed with high precision in compliance with the international quality standards. Our offered chain saw machines go through several quality tests to ensure that the only flawless range is delivered to the clients. Looking for Battery Gardening Tools ?